Rev. Timothy Britt Sangster, age 59, of Cleveland, passed away Monday, February 18, 2019. Rev. Sangster was born in Lakeland, Georgia to the late Harold Lamar and Evelyn Fendley Sangster. Rev. 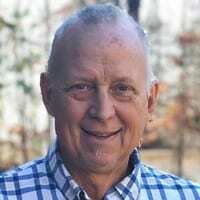 Sangster spent over thirty years in the ministry, spending time in Pleasureville, Kentucky, Royston, GA, Washington GA, Clarkesville, GA, with the Georgia Baptist Convention, and in Savannah, GA, and Cleveland, GA. He was the youth minister at Cleveland First Baptist Church, a position which he held for ten years. Rev. Sangster recently worked at Crete Carrier and Mansfield Oil. Survivors include wife, Sherri Sangster, Cleveland; sons and daughters-in-law, Britt and Charissa Sangster, and Linton and Kim Sangster; daughter, Laura Sangster; grandchildren, Jacob Sangster, Finley Sangster, Kegan Sangster; brothers and sisters-in-law, Jonathan and Caroline Sangster and Nathan and Melissa Sangster. A Memorial service will take place 2 P.M. Thursday, February 21, 2019 at Cleveland First Baptist Church. The Rev. Dennis Turner and the Rev. John Brown will officiate. The family will receive friends from 4-7 pm Wednesday, February 20, 2019 at the funeral home. In lieu of flowers, contributions may be made to: American Cancer Society: PO Box 22478, Oklahoma City, OK 73123, or to the White County Choral Boosters: 283 Old Blairsville Rd, Cleveland, GA 30528. To share a memory or a condolence with the family, please visit barrettfh.com.